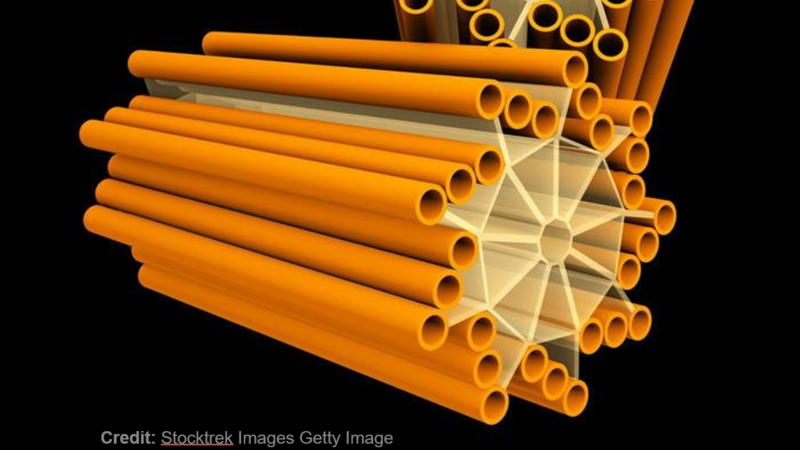 WHAT ARE THE FUNDAMENTAL UNITS OF LIFE? 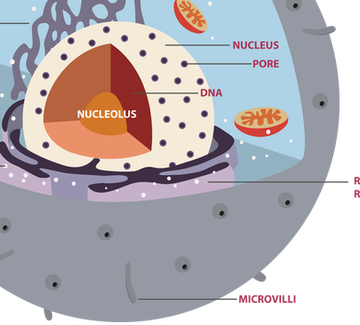 The inside of the cell is filled with fluid and various structures called organelles. 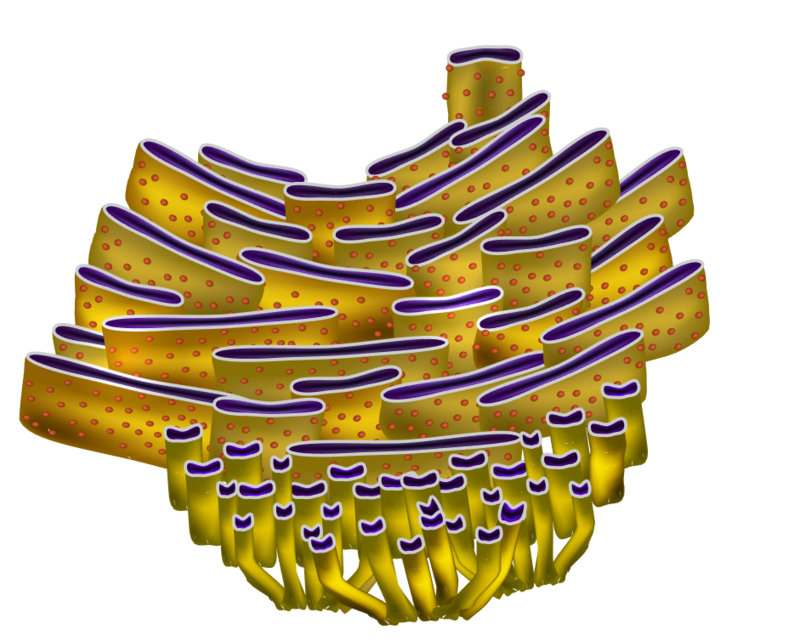 The word “organelle” comes from the Latin word meaning “little organs”. 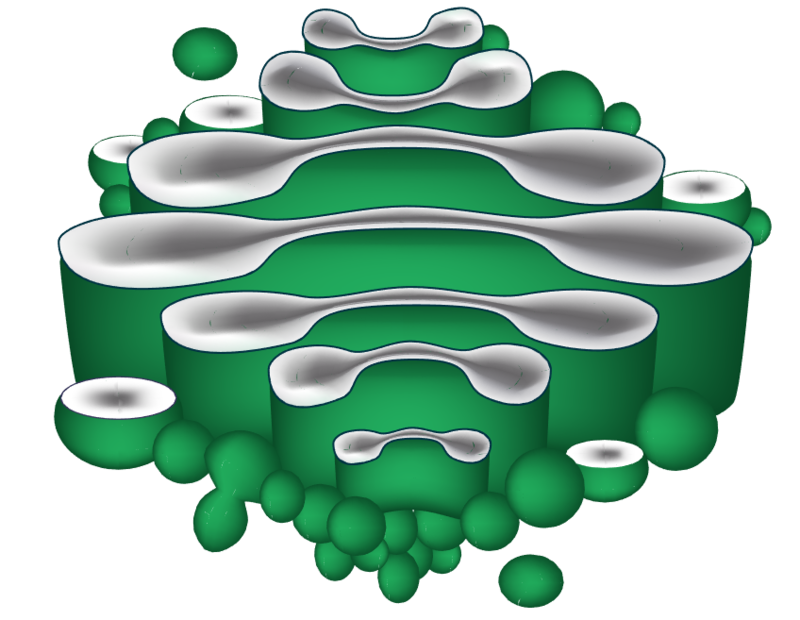 Cells are Living Compartments. 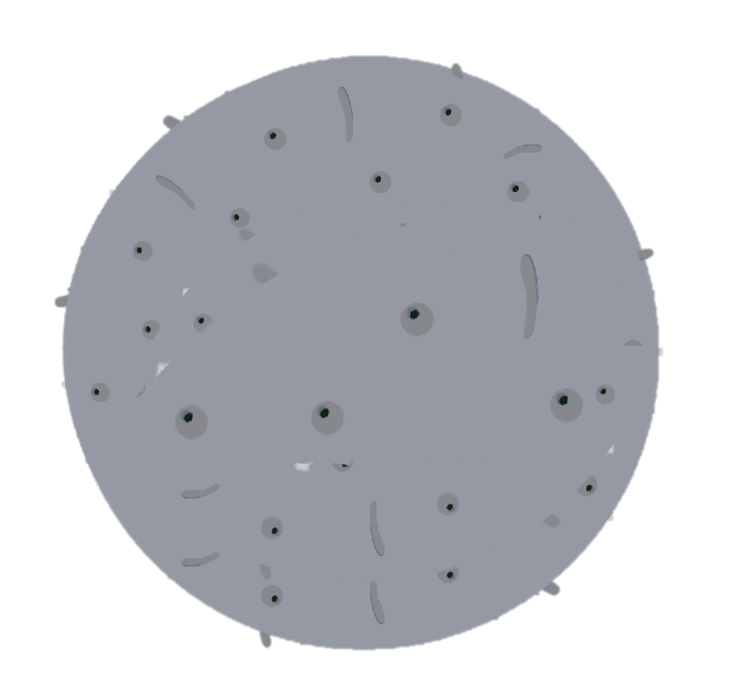 Organisms can even exist as a single cells. Cells vary in size and shape. 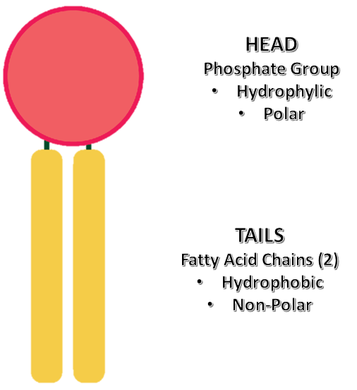 What are the Different Cell Types? A subdiscipline of biology called taxonomy, categorizes all lifeforms into 3 broad “domains” of life. 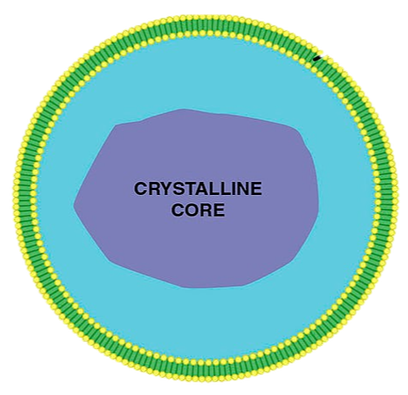 The domains “Archaea” and “Bacteria” are made up entirely of prokaryotic organisms. 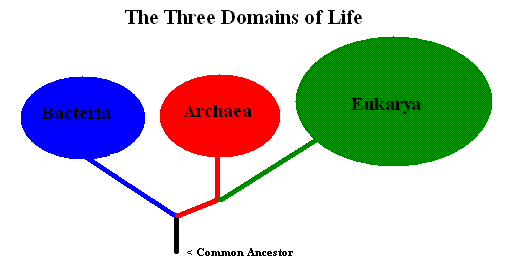 The domain “Eukarya” is made up entirely of eukaryotic organisms. 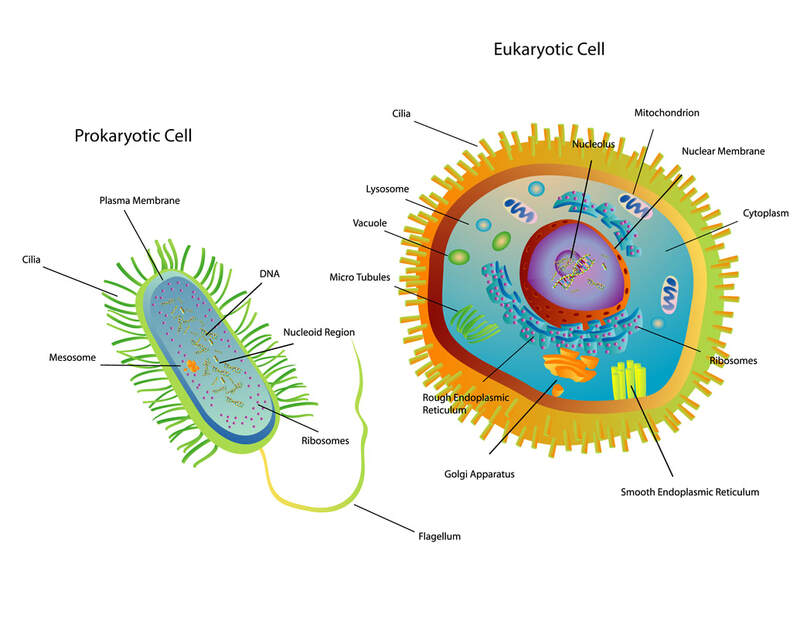 Prokaryotic organisms are made up of prokaryotic cells and eukaryotic organisms are made up of eukaryotic cells. Has DNA but no nucleus to put it in. Their DNA is packaged into a single circular chromosome. Binary fission is used in prokaryotes to create 2 new daughter cells that are genetic clones of the parent cell. 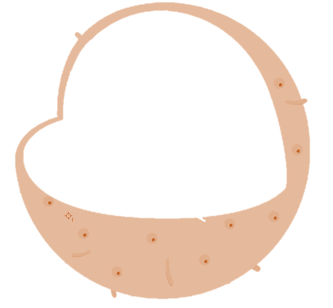 This is an example of asexual reproduction. 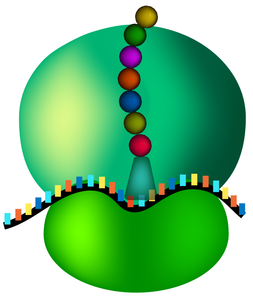 Have a membrane-bound nucleus that houses their DNA. Their DNA is packaged into multiple linear chromosomes. Meiosis is used in eukaryotes to create new genetically diverse organisms through sexual reproduction. 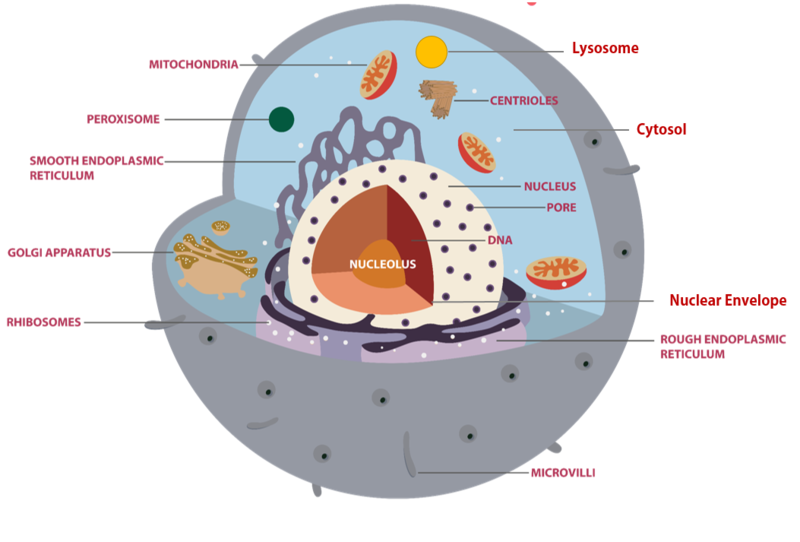 The mitochondrion is the "power house" or "engine" of the cell. 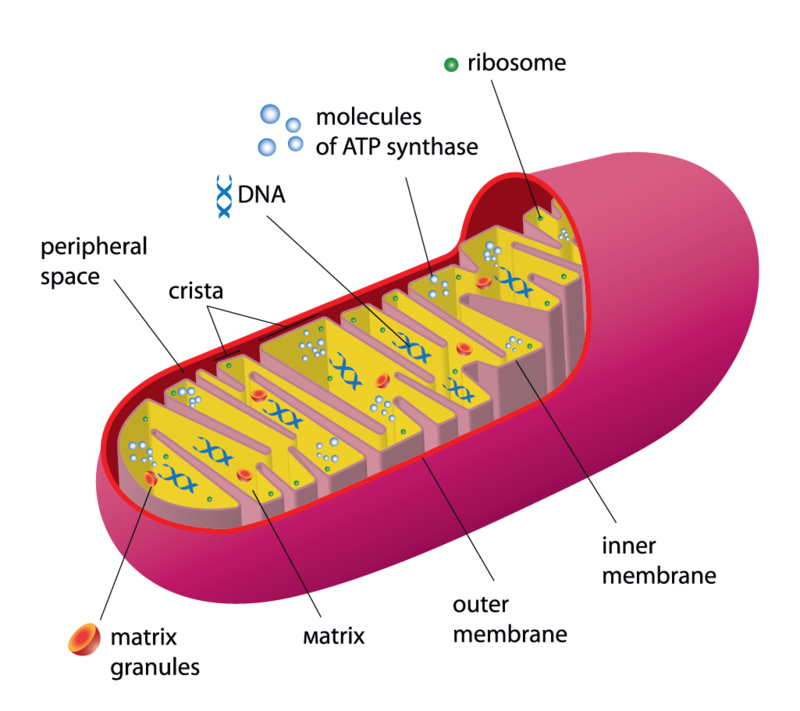 Our mitochondria make energy in the form of ATP (adenosine triphosphate) that our cells can use. Free radicals are specific forms of molecules that contain an electron which can be eaily removed from it and can cause unwanted reactions to occur within the cell. 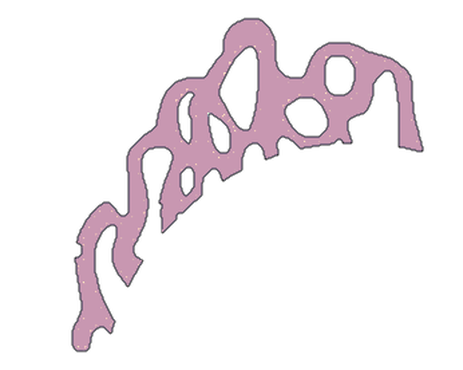 The most important enzyme for the peroxisome is catalase, which is used to break down the free radical, hydrogen peroxide. 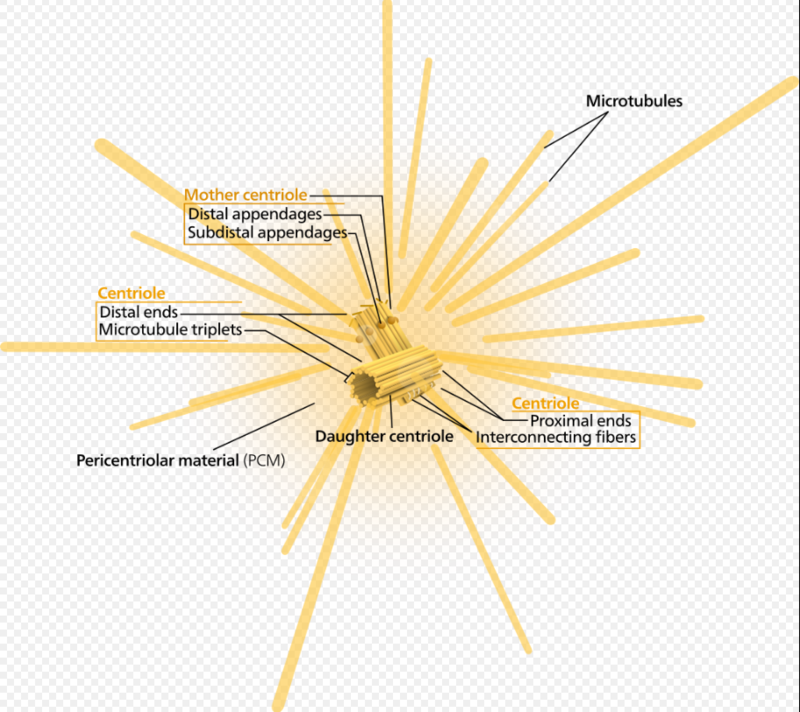 This is where the peroxisome gets its name! 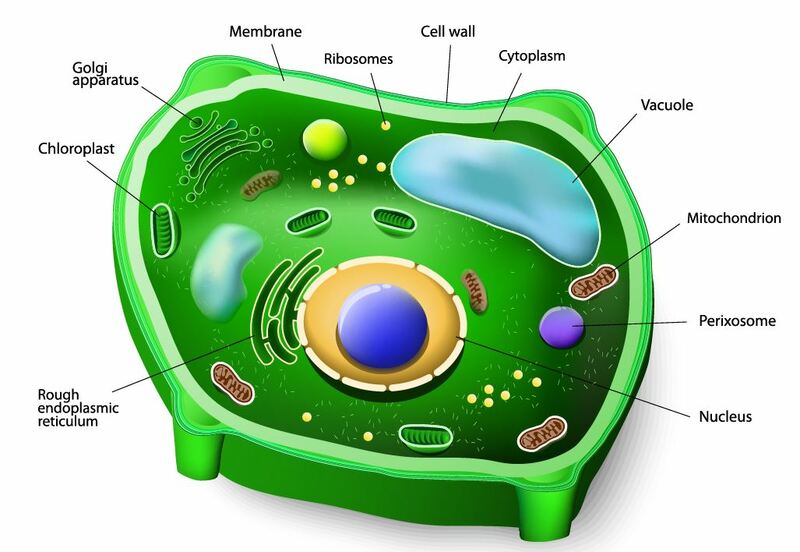 ​•Plant and animal cells are very similar because they are both eukaryotic cells. 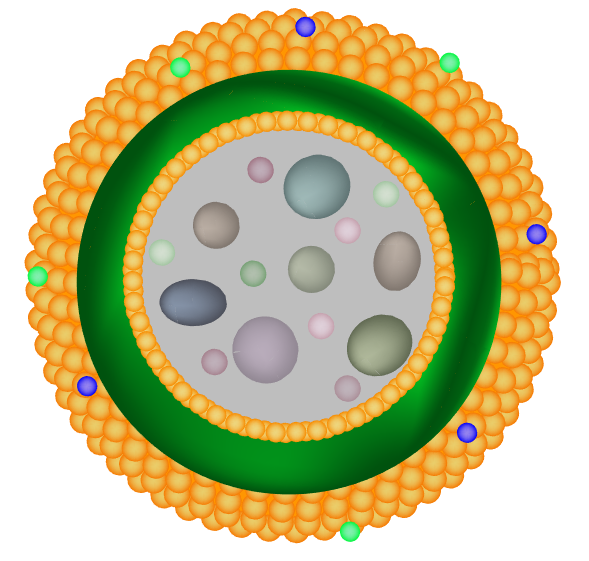 •Plant cells have a lot of the same organelles as animal cells do. 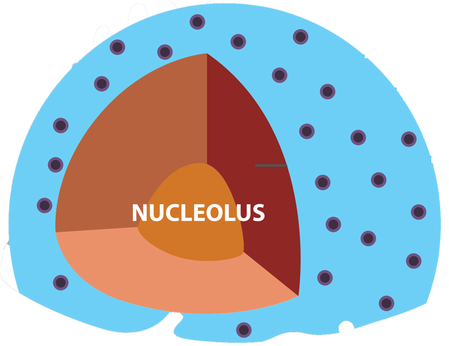 •Plant cells also have a few additional organelles that animal cells do not have. •Is found in plant cells, but not animal cells. 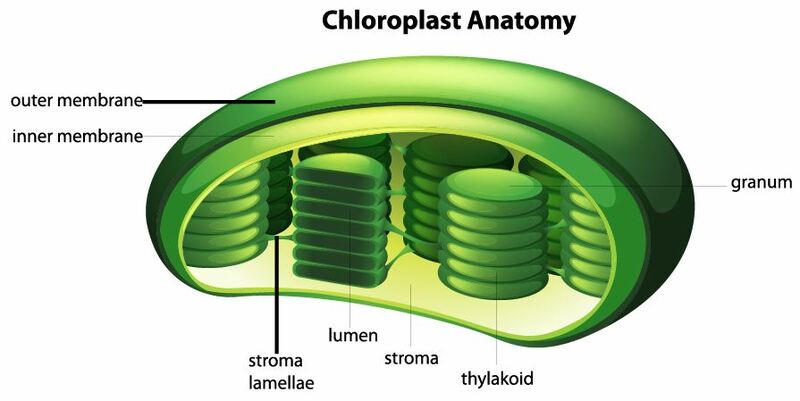 •Chloroplasts are specialized organelles that allow for photosynthesis to take place. •Chloroplasts are found in plants cell, but not in animal cells. •The chloroplast is able to carry out photosynthesis for the plant, because it has a chemical called chlorophyll. •Chlorophyll is a photosynthetic pigment that converts energy from the sun into sugar, which can then be used to make energy for the plant in the form of ATP. 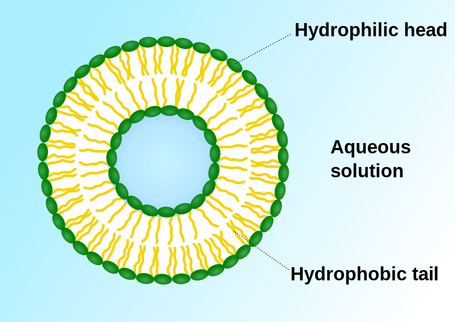 •The fluid inside of the vacuole functions to hold materials and waste products of the cell. •The vacuole functions to maintain the proper pressure (turgor pressure) within the plant, that allows it to stand up against gravity.